Thank you for stopping in to yours and mine SPORTS, where we are YOUR biggest fan! 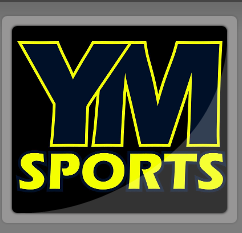 Your source for sporting goods, school logos and the hottest wearables in the valley. 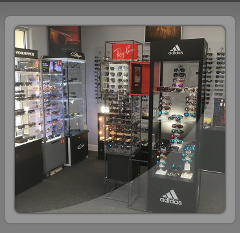 We're located at 416 North 9th Street in Modesto, and open Tuesday - Friday 10am to 6pm, Saturday 9-5. Closed Sunday & Monday. Show your school pride with Spirit Wear. We specialize in the custom designs you want on letterman jackets, stadium chairs, school bags and more. No matter what your school team needs, we'll provide the fastest turnaround and lowest price in town. Ask about our stickers and banners, too! 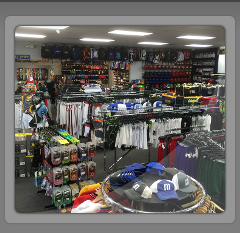 Skateboarding is no grind when you come down to The Spot Skate Shop at yours and mine SPORTS. We've got blank decks and all the necessities to create your own perfect fit in a stylin' board. 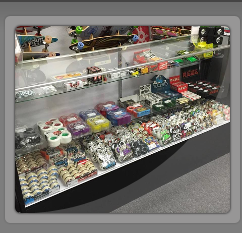 Plus a complete selection of wheels, bearings, and all the custom decals you need to bring on the bling! We'll get you rolling. Score big with our in stock baseball and football items. Hoops, soccer, volleyball. We have everything you want for your winning performance. Need a name and number on your jersey or team tops? Come on down to our north 9th Street store in Modesto and we'll give you the lowest price in town, with the fastest turnaround possible. Names are power. Jump-start your image with top brands from yours and mine SPORTS. Adidas, Under Armour, Rawlings, Easton, New Balance, Mizuno, Shock Doctor, Holloway, Mikasa Sports and more. We've got 'em. In stock at yours and mine SPORTS. When you "like us" on Facebook, you'll be the first to know when we offer specials and hot deals. Buying local is important to your community. Small businesses like us depend upon YOU and we really appreciate your loyalty. And, you sure won't get the same personalized customer service at one of those "big box" stores. Why settle for less, when you can get MORE of a selection of sporting goods - and better service and keep it local!